Can you help police identify this male? Can you help police ID this male? Around half past midnight on Sunday, May 7 a 29 year-old man was assaulted and sustained serious injuries requiring hospital treatment. Police are keen to speak to the man shown in the image as they believe that he may be able to assist with their enquiries. Detective Constable John Boyd said: “A violent assault like this within the West End cannot be tolerated and we seek the assistance of the public in tracking down those responsible. 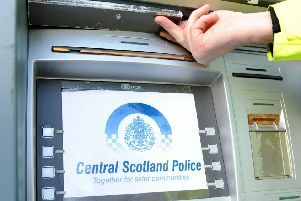 Anyone with information is asked to contact Greater Glasgow Police on 101 or alternatively call Crimestoppers on 0800 555 111 where information can be given anonymously.